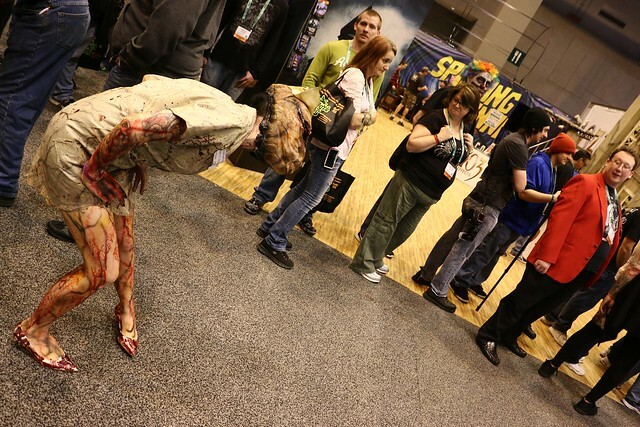 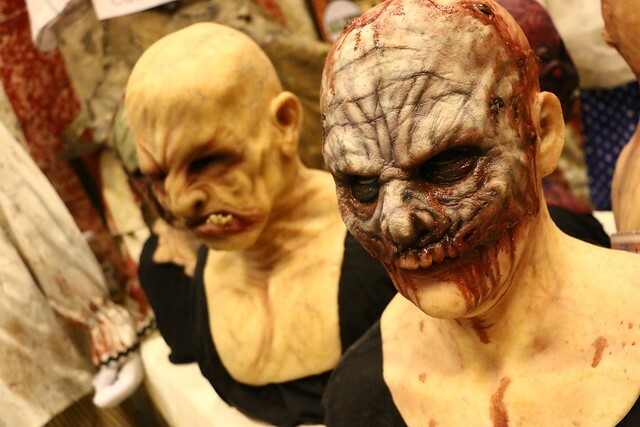 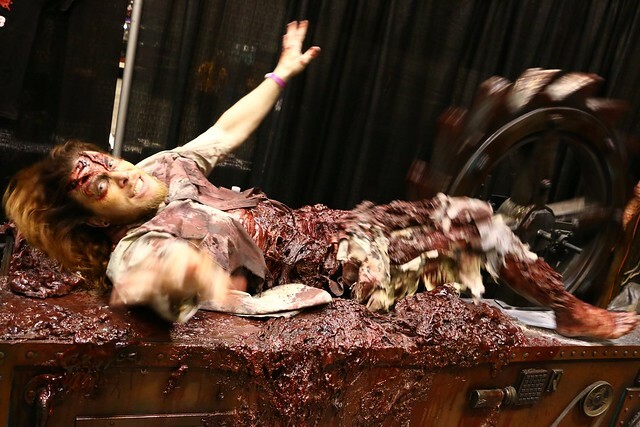 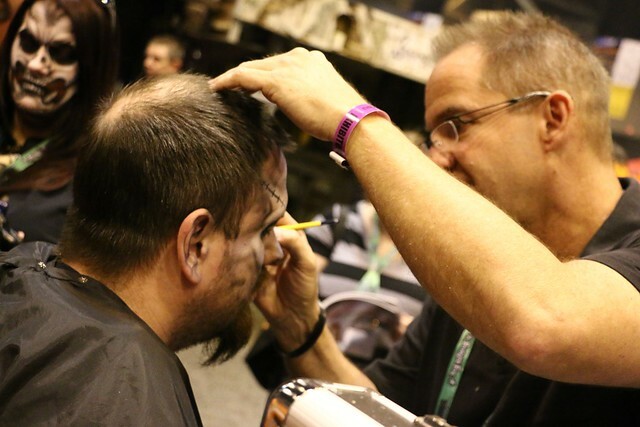 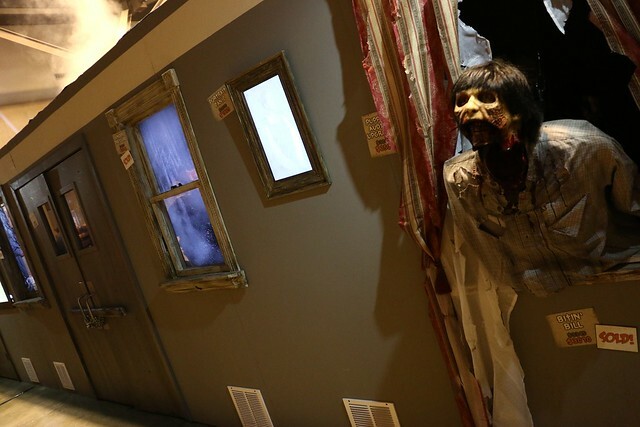 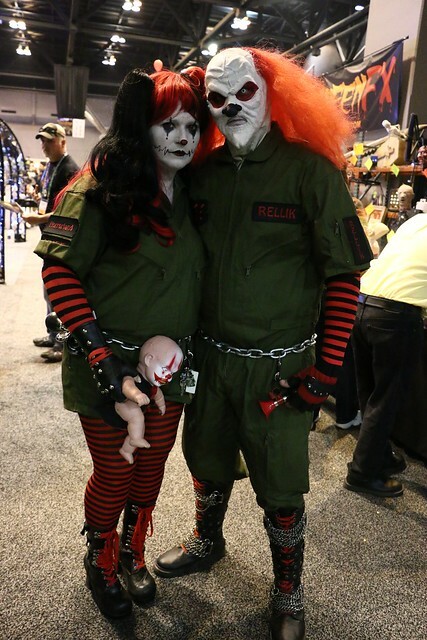 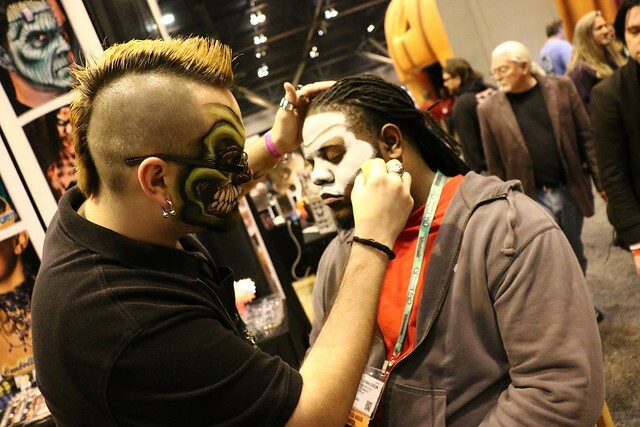 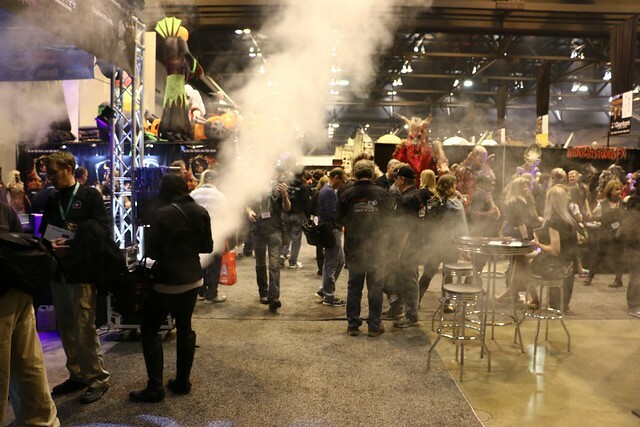 The annual TransWorld Halloween Show took place this past weekend in St. Louis, MO, once again drawing top haunters of the industry together to buy and sell the latest innovations in scare tactics while trading insights. 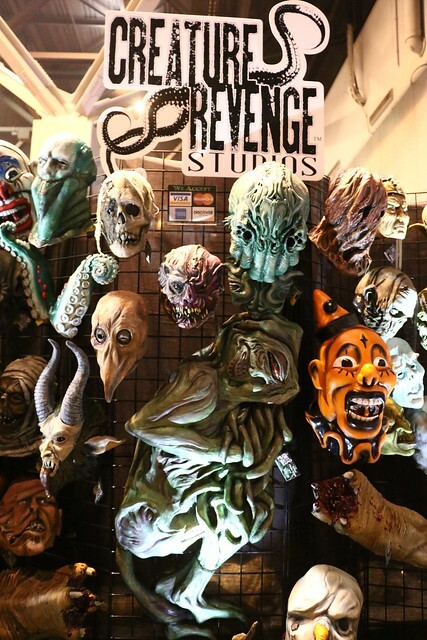 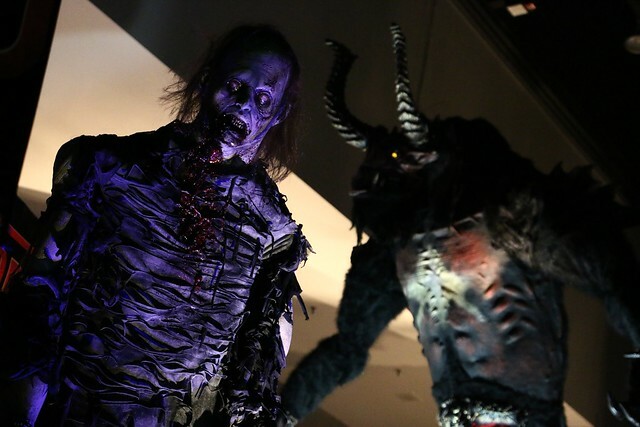 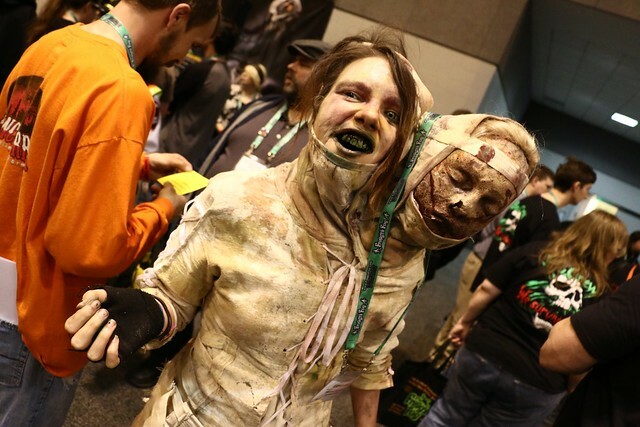 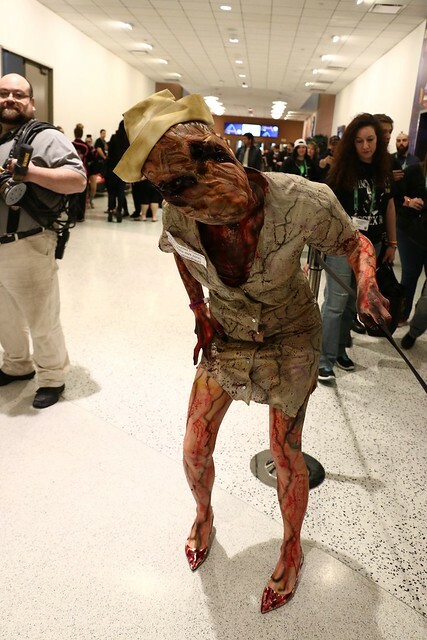 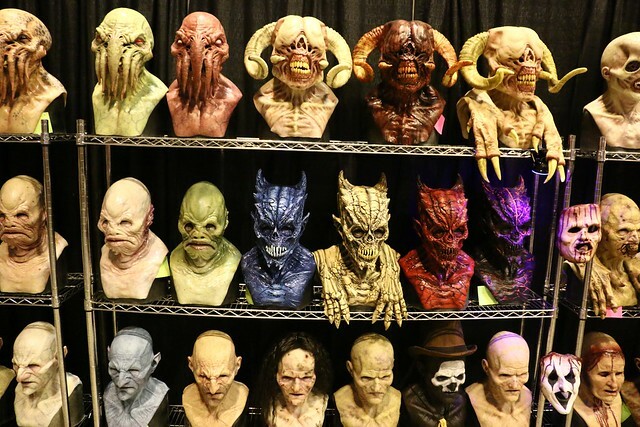 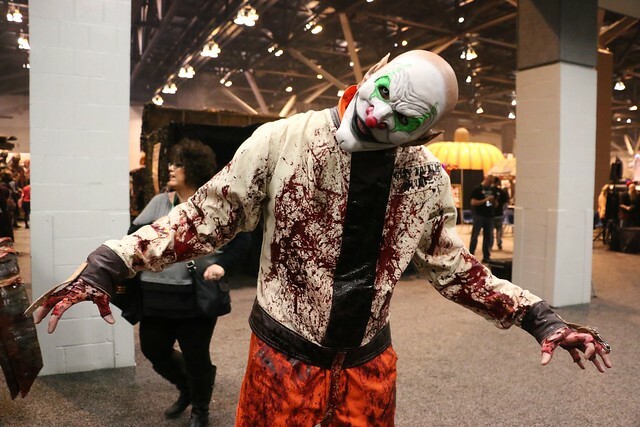 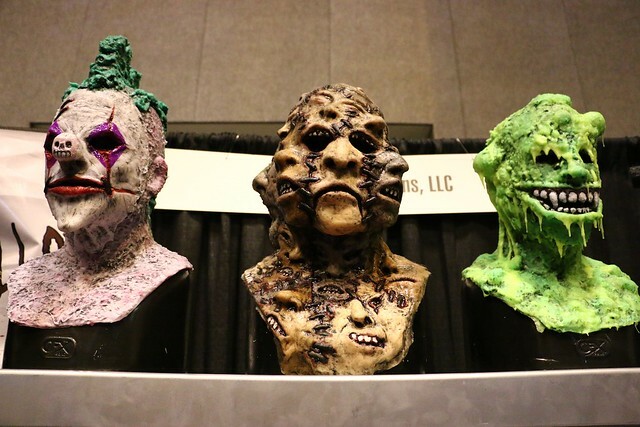 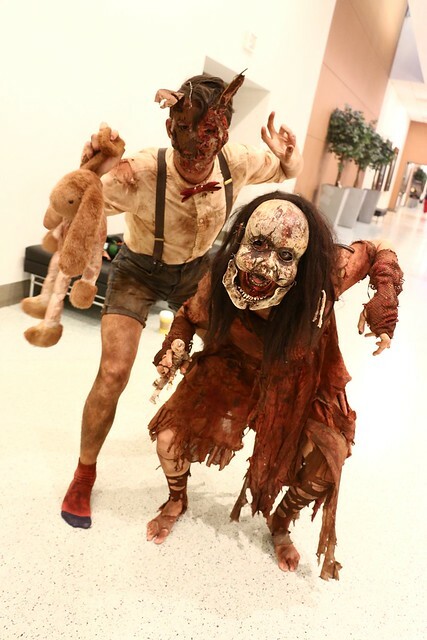 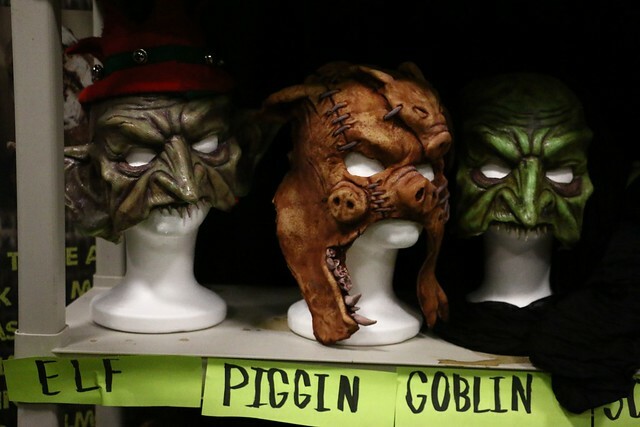 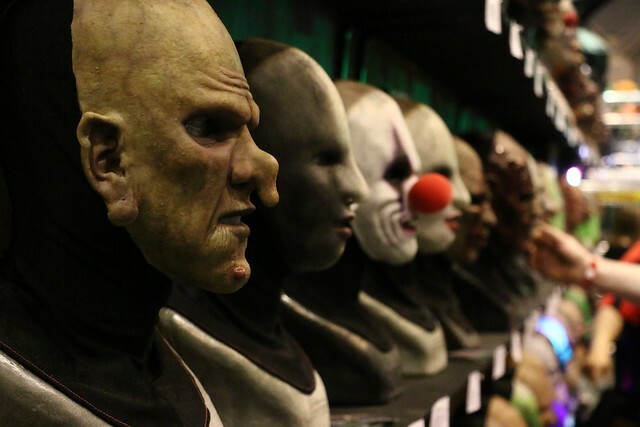 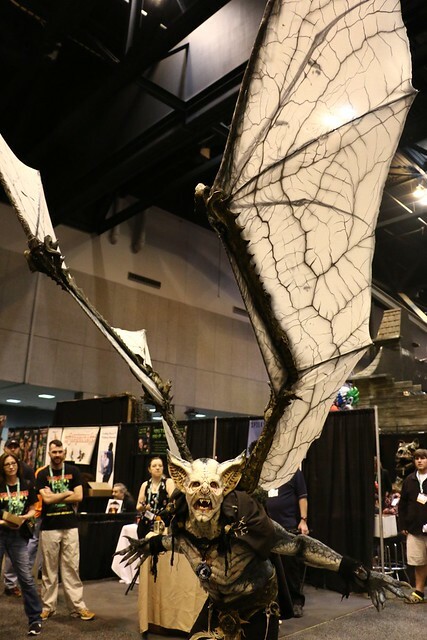 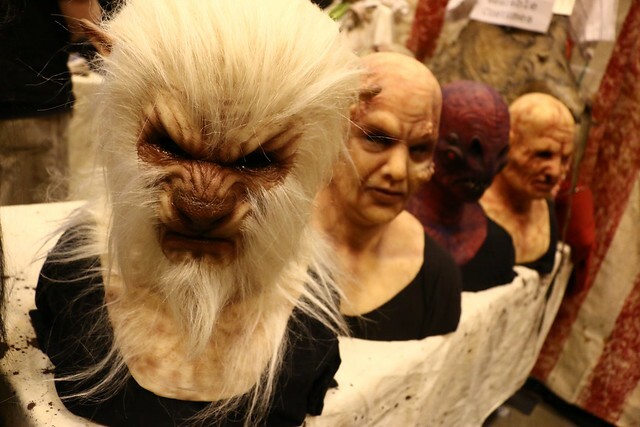 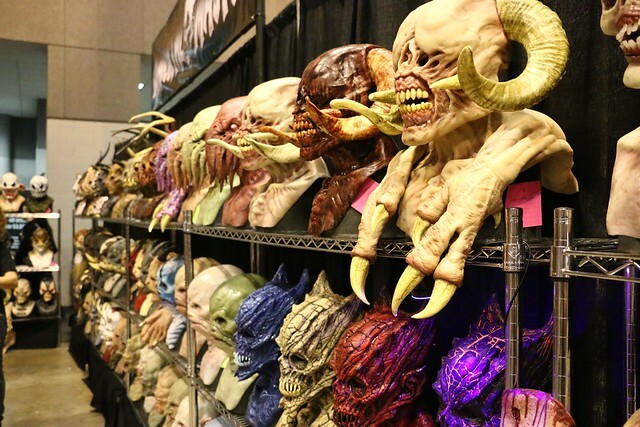 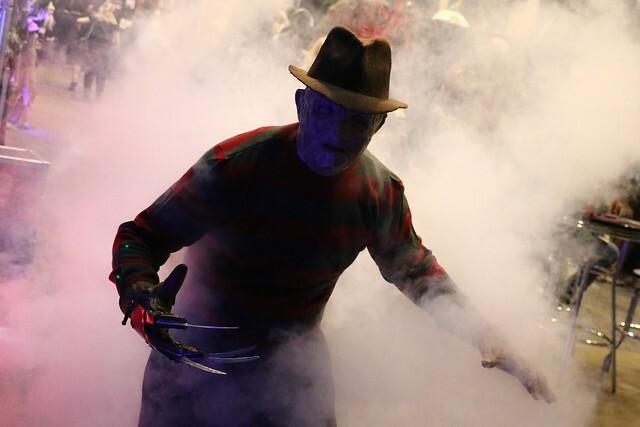 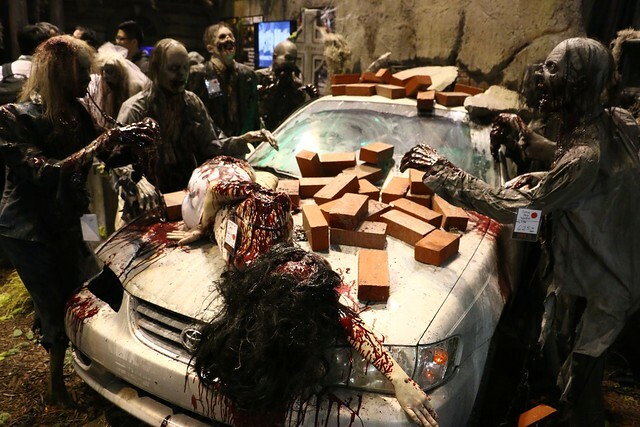 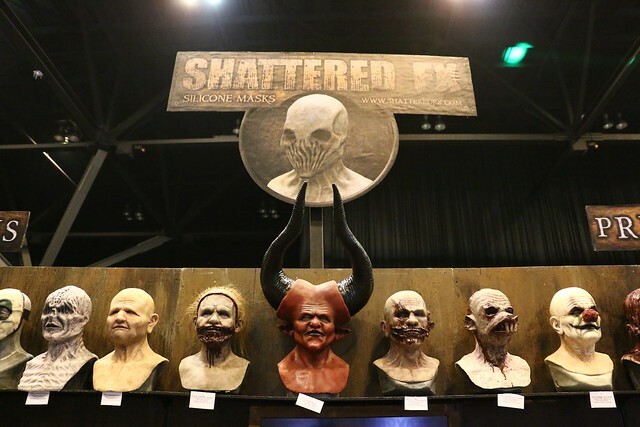 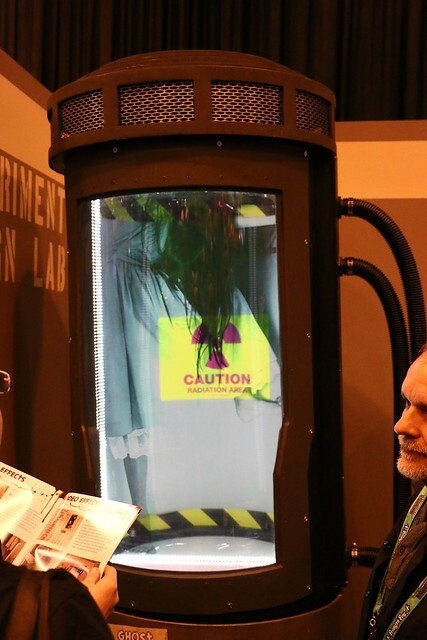 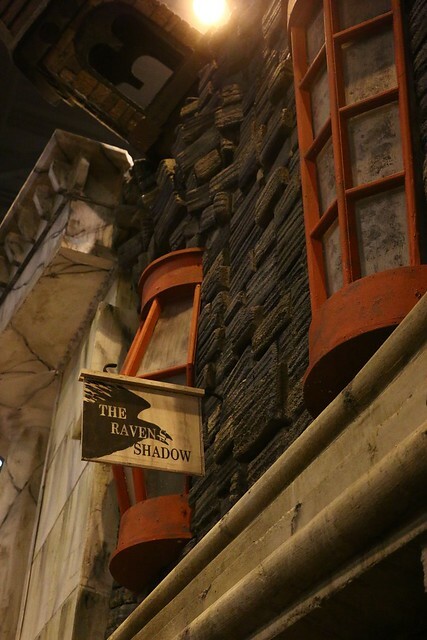 Across a fog-filled convention show floor, complex costumes, advanced animatronics, and sinister special effects were among just some of the thousands of new products unveiled at the show. 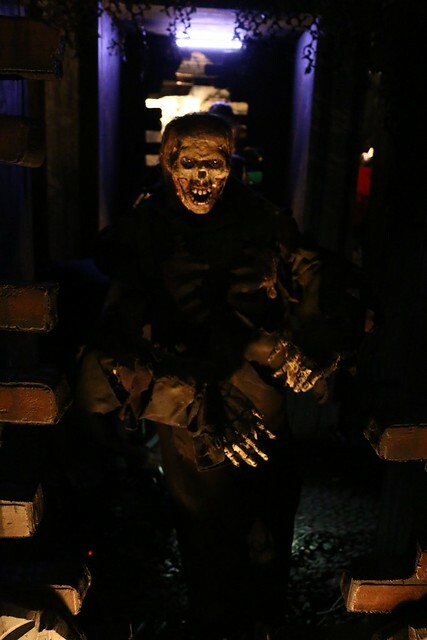 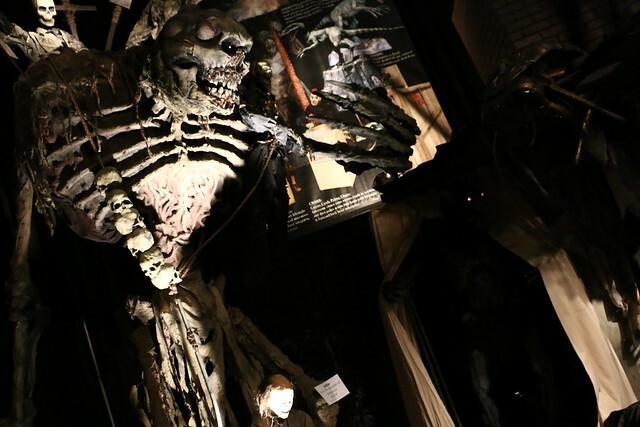 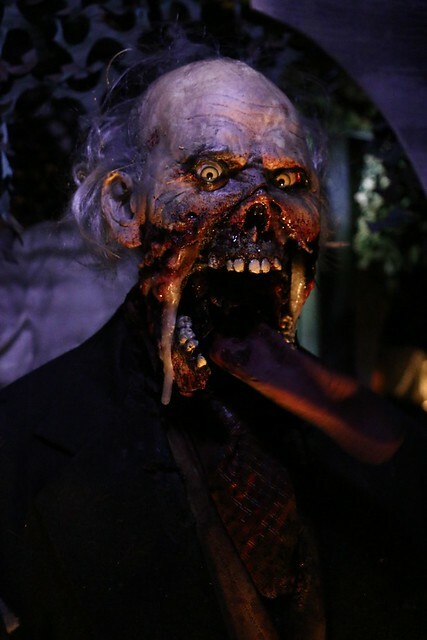 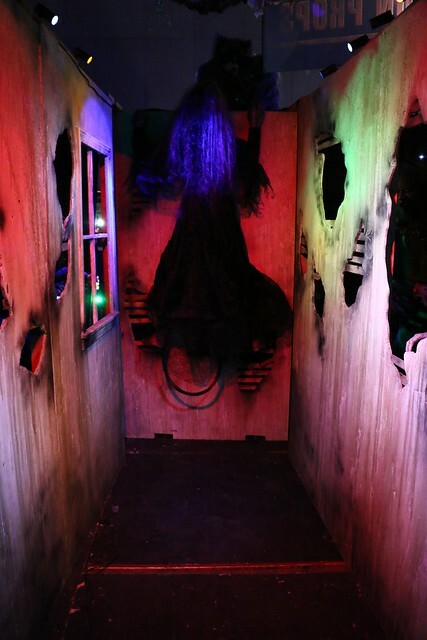 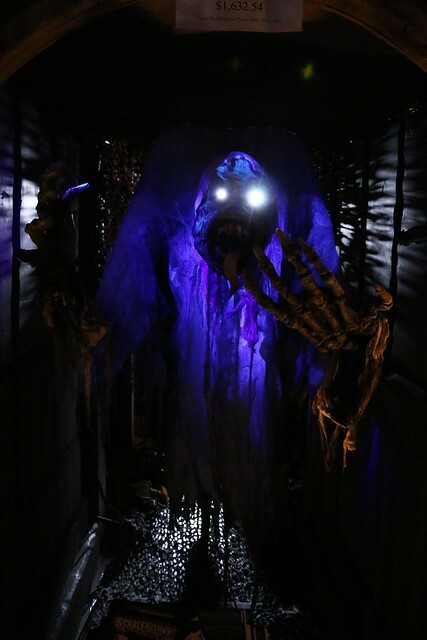 In the world of animatronic scares, no company is bigger than Scare Factory, whose booth consumed more than half of the “dark” area of the floor, filled with larger-than-life ghouls. 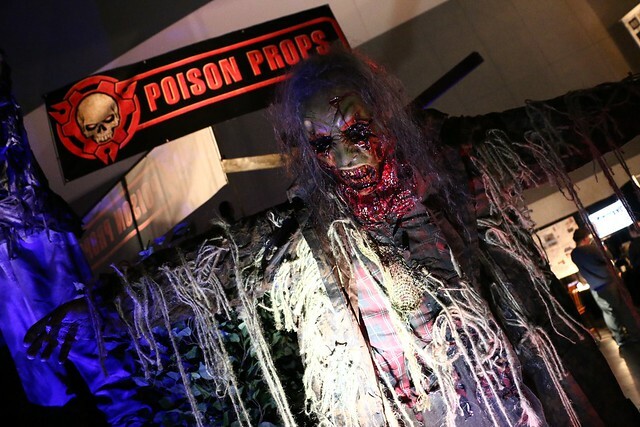 Nearby, Poison Props and Pale Night Productions showed off their impressive new animatronics and interactive effects as well. 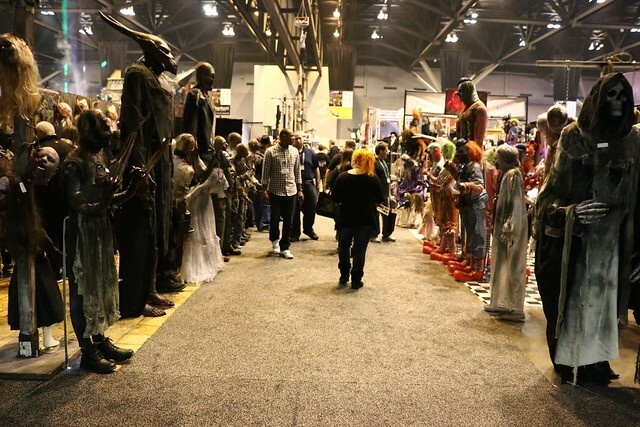 Crazy costumes seemed to fill every other booth at TransWorld, along with plenty of dead bodies of all shapes and sizes. 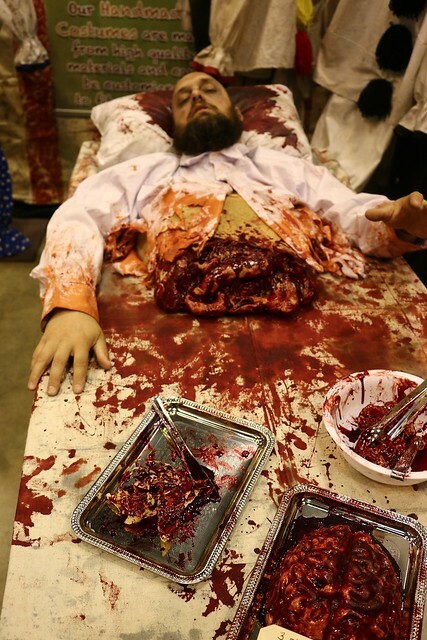 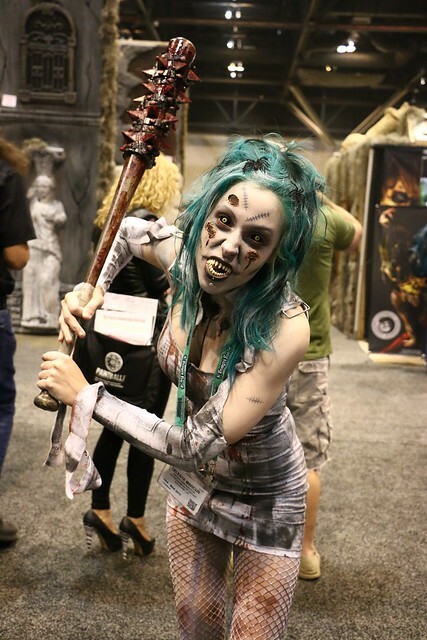 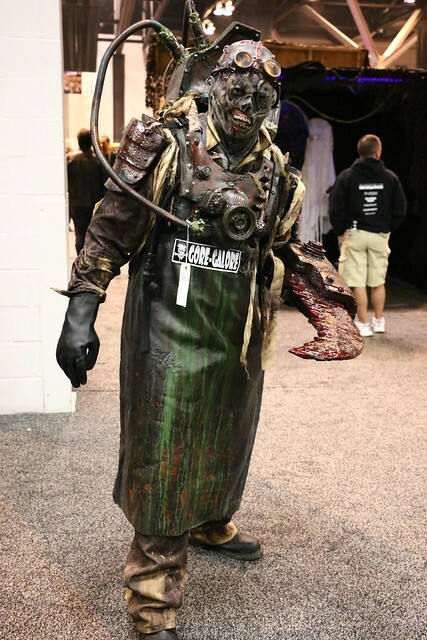 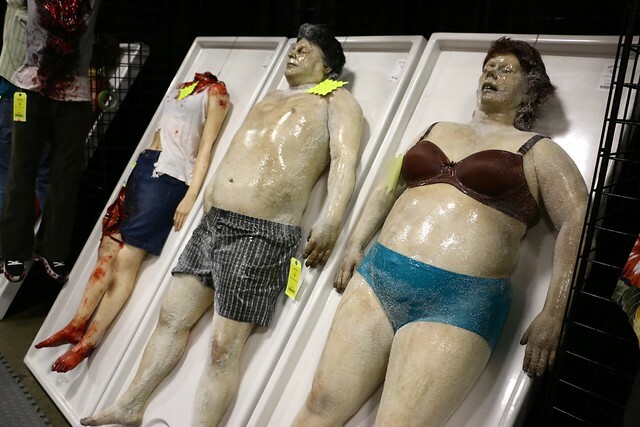 Speaking of bodies, naturally TransWorld had its fair share of booth babes who attracted all kinds of attention as they wandered the show floor, even crossing over into the zombie paintball section to cause quite a stir. 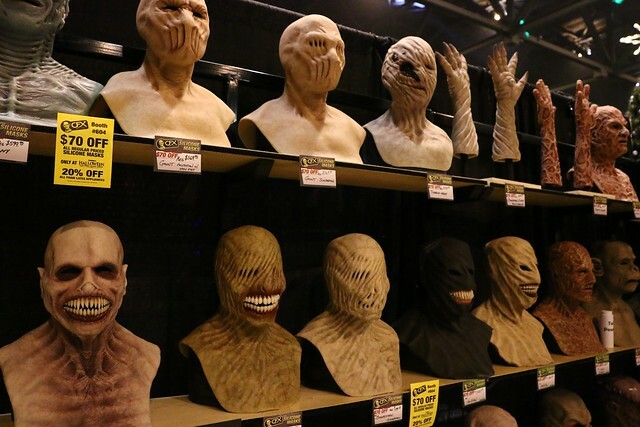 Silicone masks are all the rage nowadays, though latex ones still exist. 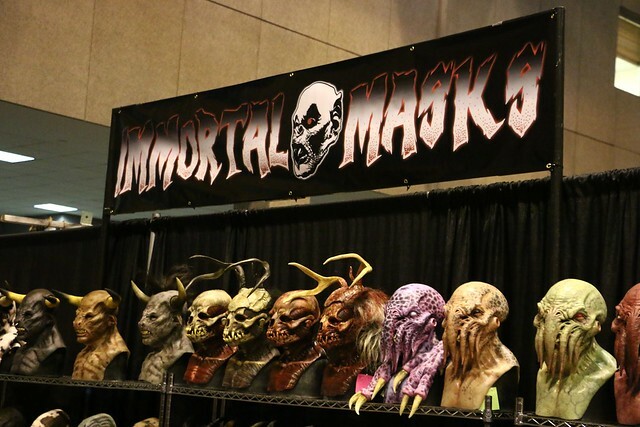 And there were hundreds at TransWorld. 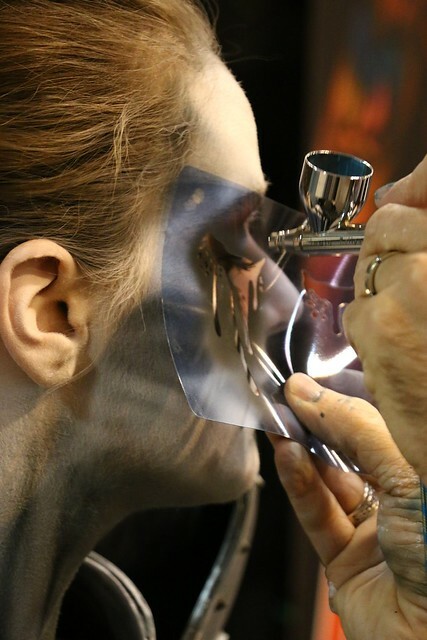 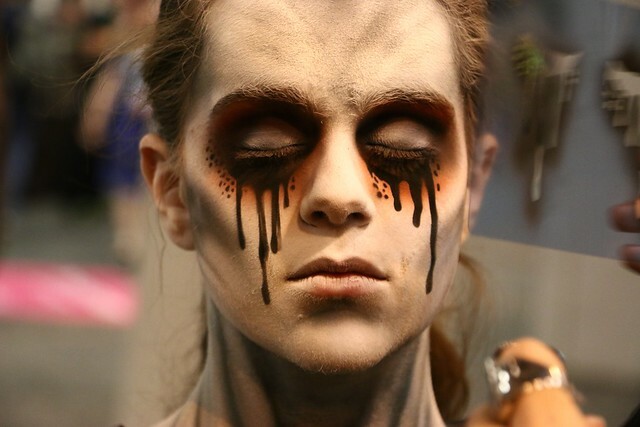 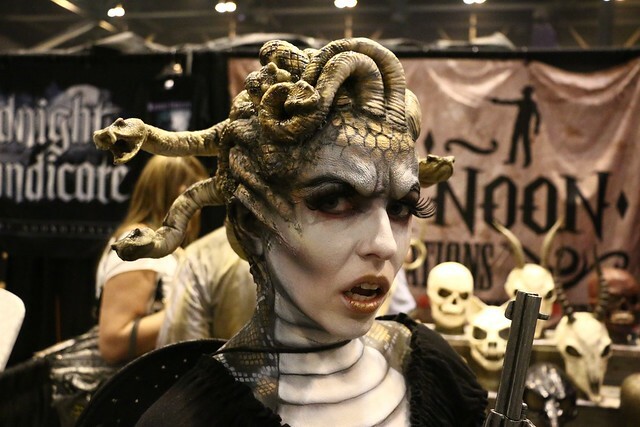 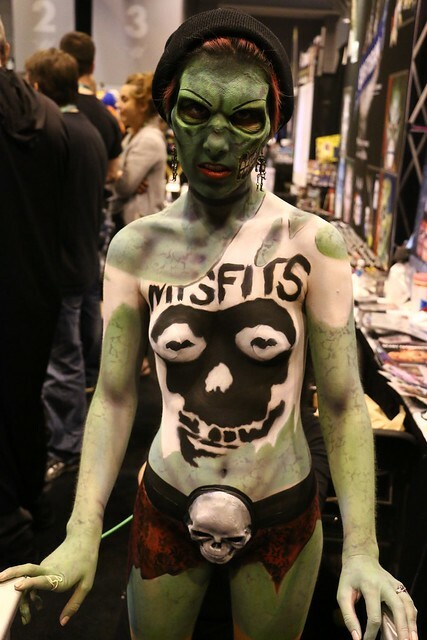 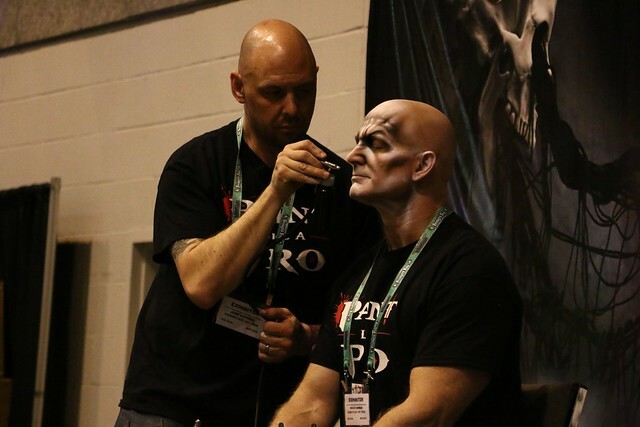 Face and body painting were popular on the show floor, especially as nearly naked girls were made up as a variety of artistic creations. 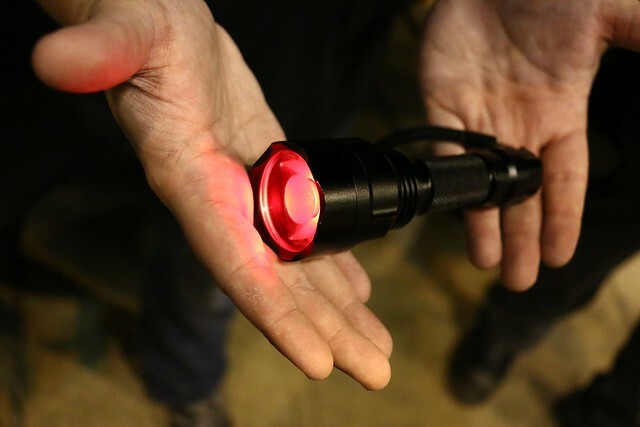 Two new high-tech products were the talk of TransWorld. 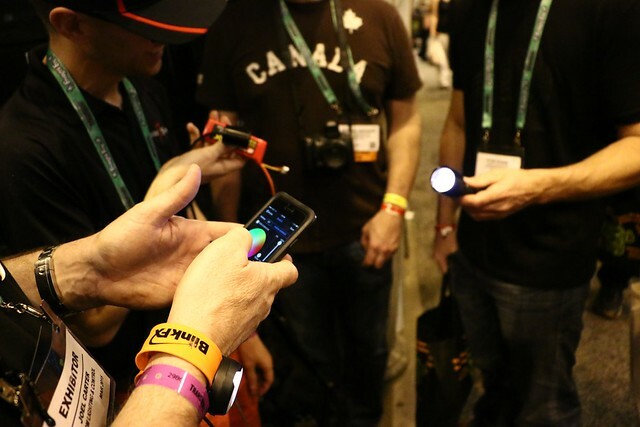 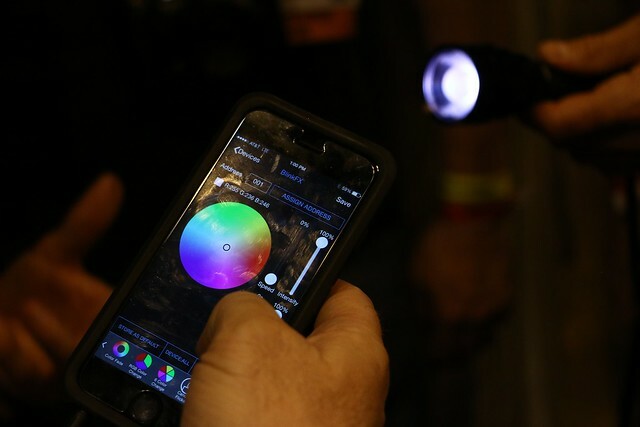 Gantom’s interactive flashlight uses IR emitters and a mobile app to produce multicolored lighting and vibration effects, much to the surprise of anyone using the device. 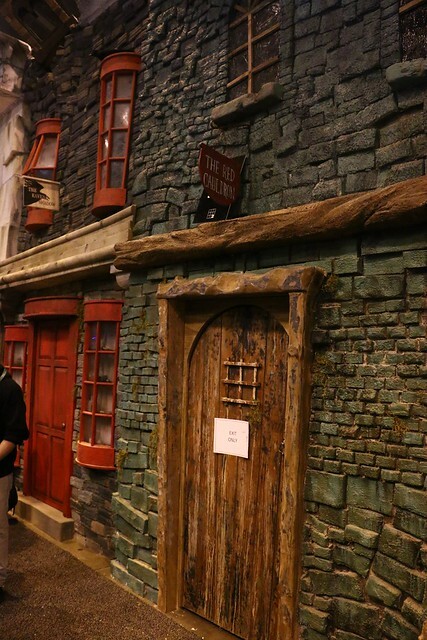 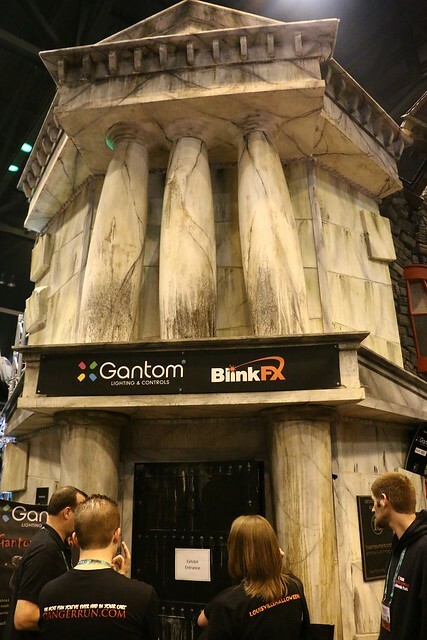 Gantom’s booth, created by Thirteenth Floor, seemed to strongly resemble a certain wizardly area of a popular Orlando theme park. 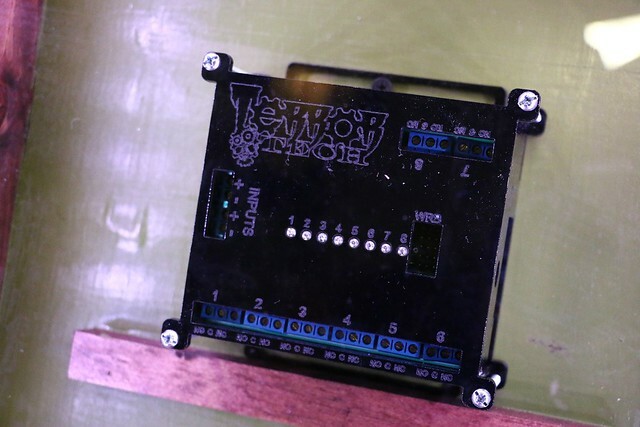 A new Terror Tech control box was equally talked about, allowing simultaneous control of audio, video, servos, relays, and more all programmable via WiFi and an app. 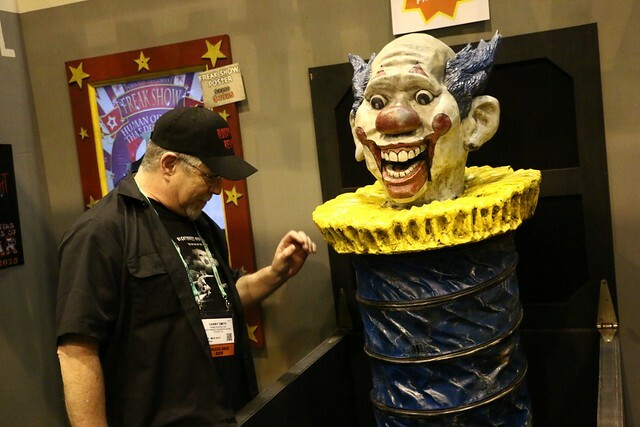 It made its debut at the show and quickly sold out of inventory. 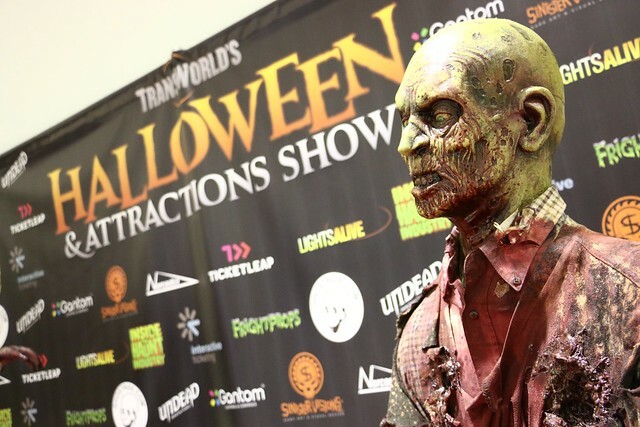 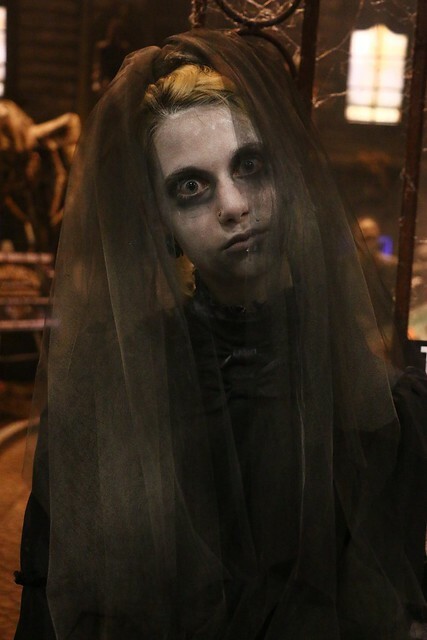 The TransWorld Halloween Show continues to bring together all the leading haunt industry professionals each year, setting the stage for what is sure to be another exciting season later this year, no doubt with plenty of these wild new products being integrated into haunted houses around the world.